Finding a compassionate, trustworthy home care agency near Tucson is not a difficult task! There are several qualified caregiver services in southern Arizona that service greater Tucson, but sifting through Google search results can become a bit tiresome. In an effort to provide a complete list of homecare companies that service Tucson, our team at Total Care Connections decided to compile the below list to help your family save time with their research. While these agencies are ranked in no particular order, we did seek to primarily mention the services that have maintained a long-term presence in Tucson, while prioritizing our own company towards the top of the list. If we have forgotten to mention a qualified and locally-owned agency here, please feel free to let us know at anytime and we are more than happy to add it! 1. Total Care Connections – Of course we must start off with our own caregiver family! Founded in 2009, Total Care Connections has grown quickly into one of the largest home care agencies in Tucson, with a focus on making compassion and wonderful customer service a cornerstone of our company values. We were recently mentioned by Inside Tucson Business as being the only home care service near Tucson that also offers assisted living placement services (free of charge). In other words, our goal is find the care solution that works best for your family, whether that be at-home care or a specialized living or nursing facility in the areas surrounding Tucson. We offer a free evaluation at your home or residence if desired, while tailoring our home care services to your needs including Memory Care, Alzheimer’s Care, and even Couples Care. In 2016, we were honored to receive the Wells Fargo Copper Cactus Award for Business Growth and to be featured on the INC 5000 list showcasing the fastest growing companies in the country. Want to talk with someone about home care services? Call us: 520-546-1554. 2. Soreo – A long-time agency in the Tucson area, Soreo has focused for many years on maintaining a high calibre team of certified caregivers in Arizona who possess both CPR training and First Aid experience. As one of the largest agencies in Southern Arizona, Soreo is known for their incredible service and quality. 3. Catalina In Home Services – Founded by former nurse Judith Clinco in 1981, Catalina In Home Services is one of the oldest home care providers in Tucson. Focused on good business ethics and training programs, the company also founded the Caregiver Training Institute which is a non-profit entity that trains aspiring caregivers from throughout Arizona. 4. Tucson Medical Center – A non-profit hospital serving the Tucson area for over 70 years, TMC provides both emergency care and a full range of common medical services. Accredited by The Joint Commission and a member of the Mayo Clinic Network, the hospital does not focus largely on home care services but does provide a limited hospice care option for local patients and their families. 5. PimaCare At Home – Like TCC, PimaCare is a member of the AZNHA organization, and provides home care on a fee-for-service basis along with services directly to members of the Arizona Long Term Care System. Originally named the Attendant Care Program under Pima Health Systems, the company is now known as PimaCare At Home, a subsidiary of Pima Council on Aging. 6. Aventas Homecare – Founded by Anne E. Ryan who has worked in Tucson home care for over 25+ years, Aventas provides Home Health Aides with customized Plans of Care, stating, “whether 2 hours, to 24 hours, we have the team to meet your needs.” The agency provides weekly “wellness checks” as well, and can even help with hair styling and other specialized services. 7. Assurance Healthcare – Certified by Medicare, Assurance AZ is also associated with Sinfonía Healthcare Corporation. Their Assurance HealthCare brand is focused specifically on outpatient care and in-home nursing, offering “24 hour access to a skilled nurse.” The company believes that “health care is a basic human right” and aims to provide services in “the least restrictive setting” possible. 8. A-Z Homecare Options – Based out of both Tucson and Phoenix, A-Z Home Care provides comprehensive home health care services, and even offers field trips for their customers to places like baseball games, Bingo, and even the zoo. The company reminds customers of their extensive “professional and general liability coverage” and the in-depth screening process that their care staff undergoes. 9. Alternatives In Home Care – Marketing themselves as a “Private Duty and Geriatric Care Management agency”, Alternatives in Home Care offers their services in both Arizona and South Carolina. “We are approved by the AZ Department of Economic Security as a training agency that meets or exceeds their high standards in caregiver education” they point out, while striving to offer their clients “dignified” and “independent” lifestyles while supporting their family members at the same time. 10. In Your Home Care Tucson – Although not much information is available, In Your Home Care offers non-medical caregiving services “round the clock” as they say, with service areas in both Tucson and also Carlisle, Pennsylvania. 11. A Wonderful Life – Offering care services both “in the home” and “out of home” settings, A Wonderful Life can help with transportation needs, pet care, and even newborn baby care. As far as their name goes, the agency explains, “In our opinion nothing demonstrates our philosophy for providing exceptional client care then the business philosophy of George Bailey in the movie, It’s A Wonderful Life“. 12. Intouch At Home – A subsidiary of SRG Senior Living Company, Intouch At Home helps with personal care, chores and errands, companionship care, and more. With locations in California, Oregon, and Arizona, the company claims to have “one of the lowest turnover rates in the industry” when it comes to the caregiver staff in their employment, with a “person-centered” approach to care. 13. Adult Care Assistance – Owner Krystal Wilkinson explains that she started ACA because of the lack of Arizona state regulation in the home care industry, saying: “The lack of regulation in Arizona places citizens at risk. The more I have learned, the more I have become involved in protecting seniors and their families.” The company maintains a useful list of free services for seniors in Arizona, and offers paid senior care services around Phoenix and Tucson, aiming to provide an alternative to nursing home placement whenever possible. 14. 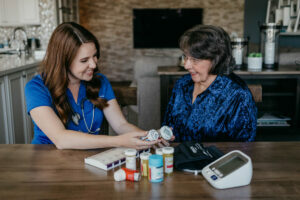 Ascension In-Home Medical Care – Focused on physician house calls and coordinating lab work, home X-rays, EKGs, immunizations, and more, AIHMC is perhaps more medically minded than many of the home care services in Tucson. Accepting a wide variety of insurance plans, the company also offers therapy and routine care visits, including wound treatment and psychotherapy. 16. 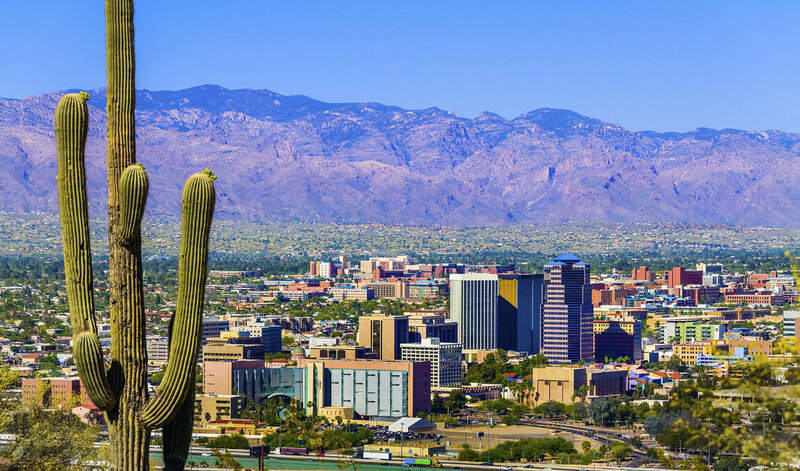 PCA Tucson – Another more medically-minded service, PCA Tucson consists of registered nurses, physical therapists, occupational therapists, social workers, and even speech pathologists. Certified by Medicare, the group also provides hospital advocacy services and help for patients who may already be hospitalized but who might require additional assistance. 17. Sinfonia Healthcare – Underneath the Sinfonía HealthCare Corp, Sinfonia Healthcare is indirectly associated with Assurance Healthcare (mentioned above). Although services include physical therapy, skilled nursing, and other care that mirrors that of Assurance Healthcare, the main difference appears to be a lack of Medicare certification under this subsidiary of the company.